Appeasing the gaming desires of more than 50 million users, Microsoft’s Xbox 360 is one of the Top 3 gaming consoles in the world. The number of users has been on the rise with the launch of new Xbox services and add-on accessories like Kinect. In terms of game choices, users can choose from a library of games categorized under popular genres. As of September 2012, there were more than 700 multi-platform games that work on Xbox 360 and more than 200 Xbox 360 exclusive games. As the number of Xbox 360 games rise steadily with each passing month, Microsoft on the flip side is pepping up its groundbreaking console to topple rival gaming consoles. New games are being developed and released every now and then, but there are only few established players whose games create hype and raise the expectations amidst users. I have detailed below a few such games that are set to be released in 2013. From the development house of Ubisoft, Splinter Cell Blacklist is an upcoming cross-platform action game that is set to be released sometime in the spring of 2013. The game is themed around war on terror, especially as US interests are being targeted. Provoked by the agony of terror attacks, a team of 12 men embark on a mission called ‘Blacklist’, which is a countdown of increasing terror attacks on US. As the leader of the fourth unit of Echelon, Sam Fisher reports directly to the US President and his men must track down terrorists by all means in order to cease the Blacklist countdown before it clocks down to zero. With features like kill in motion and build new echelons, Splinter Cell Blacklist is certain to delight Xbox 360 users. As part of the far-famed METAL GEAR series, the new REVENGEANCE version brings home a fascinating new all-action experience. The new series is themed around the conflict between two of the world's most esteemed teams. The game perfectly blends classical storytelling with realistic action sequences. 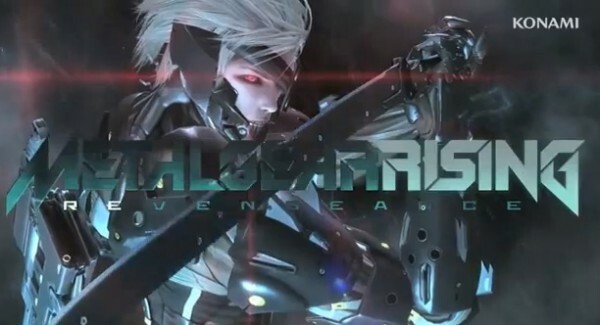 Raiden is the central character of the game, which is partly human and partly cyborg. Raiden with its high frequency katana blade cuts through anything that heads in its path. Sure to offer a new console experience, METAL GEAR RISING: REVENGEANCE is a game that is sure to enthrall you in many ways. As the mastermind of revolutionary co-op concept, the Devil’s Cartel renders users an absorbing third person co-op action shooting experience. The action shooting is built with the Frostbite Two engine, which offers maximal capabilities. The whole game sequence is themed around drug cartels in Mexico and the mission will be to hunt down the cartels you encounter. The interesting feature in this game is the co-op sequence where each player is required to obtain individual goals in order to overcome the overall objectives. As your effectiveness improves, you are rendered with rewards like Overkill, which enhances your ammunition. Army of Two: The Devil’s Cartel is an explosive all action two player game that will redefine the concept of ‘co-op’. Dead Space 3 themed around a journey across the space in search of the source of Necromorph invasion. John Carver and Isaac Clarke, the two main characters of the game, venture into outer space. They crash land on a frozen planet called Tau Volantis where they have to cope with avalanches, dangerous ice trekking, murkier wilderness, and strange evolved beings. The pair must collaborate effectively to save the human race from eventual apocalypse caused by Necromorph. You can play the game fully as a single player or along with a programmed co-op. With simplified drop-out and drop-in play options, Dead Space 3 will take you through a captivating expedition across unexplored space. Hope these games conform to the hype created prior to their releases, but all the pointers assert that they will. Sasha loves to write about technology stuffs in any field. She has been a writer/blogger for four years and currently working for Internet Bundles where you can find great offers and details about verizon internet service.